My fastest 800 time is 2:17.34, and my fastest cross country 5k is 20:57. I have earned a spot in the State Track Meet the past 3 years (2016-2018). The first year I placed fifth, and the next two years I placed fourth. 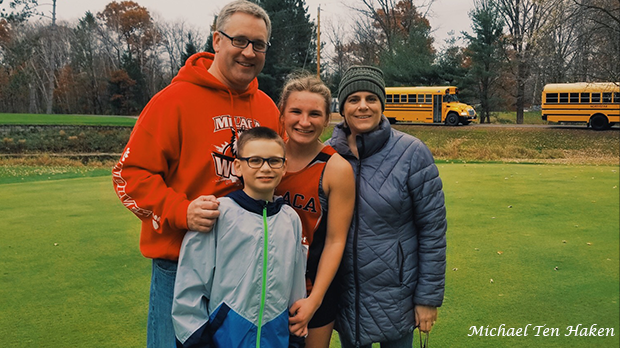 In seventh grade, my youth group leader, Nicole Hoffman, who was the junior high track coach and a former college track athlete herself, told me I should join track. That was in the back of my head for a year, until I joined track in eighth grade and fell in love with it. After freshman year, I stopped playing volleyball in order to join cross country for the next three years to improve my running skills. For track, I love running at sections every year, which is held at St. Johns. My favorite cross country meet each year is the Swain Invite at Enger Park Golf Course in Duluth. I've noticed each of the past three years, you've consistently shaved off a few seconds nearly every meet and finished the year about 15 seconds faster than you started. Is that an intentional training and peaking strategy, or is that just how the cards fell each year? This is intentional. 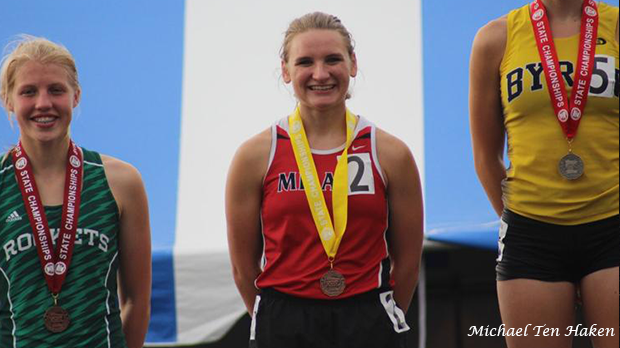 My coach strongly believes that it is most important to peak at the state meet, running my best time of the season. 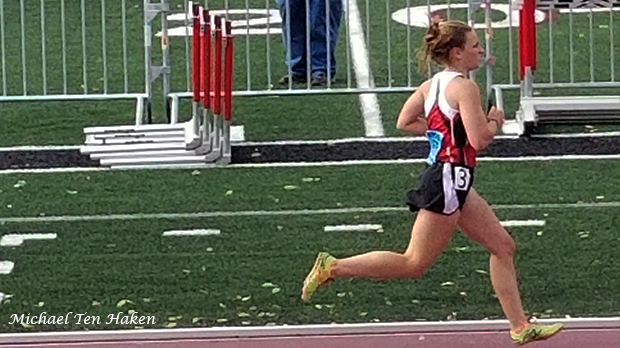 As the season goes on, our workouts are filled with more sprinting and less longer distances. This helps our speed and endurance, causing us as a team to run the best at our last meets. Tell me about one of your favorite memories from track or XC. Each year, our cross country makes a trip up to Duluth. This trip is filled with workouts, team bonding, adventures, and lots of food. It was such an amazing opportunity to get to know my teammates and coaches better and just have fun with them. I love competing against the girls from Mora and Alaina Steele from Pine City. I have become good friends with these amazing athletes over the years of running with them. My cross country coach, Dave Dillan, has always been there to support me, not only in my athletics, but in everything else I pursue. My track coach, Aaron Samuel, always knows how to push me mentally and physically and never fails to tell me exactly what I need to hear. Nicole Hoffman, who I mentioned earlier, has always supported me and given me advice in every aspect of my life. I would not be the athlete or person I am today without these people and so many more. Who might we find cheering for you at competitions (ie, friends, family, classmates, etc)? You can always find my parents sitting in the stands cheering as loud as they possibly can. I will attend Dordt College in Sioux Center, IA next year and will be participating on the cross country and track teams. I am looking into majoring in special education and music education. I love music; I sing and play a few instruments. I also love spending time with my friends, reading good books, and watching all sorts of movies. Go for it. Do what others tell you isn't possible. Run for God, your coach, and your team. 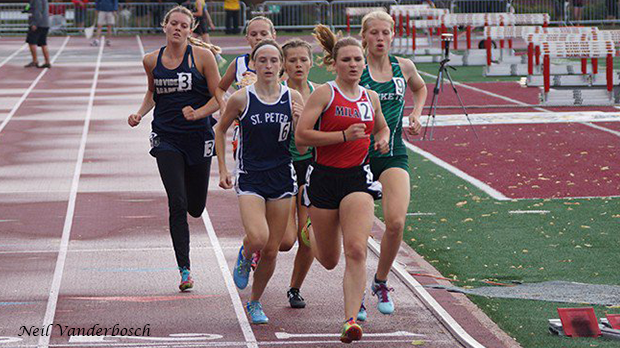 Do you have any specific advice or tips for the 800m that you would like to share? I have a very specific strategy for the 800: go out fast for the first 100m, hold onto a lead or whatever position you're in, then really start kicking it in and sprinting with 300 meters left.